SAN JOSE, CALIFORNIA, 27 July 2017 - Röchling Automotive, an integrated systems solutions provider in aerodynamics, powertrain and new mobility, has established a presence in San Jose, California, to further support the growing new mobility market. 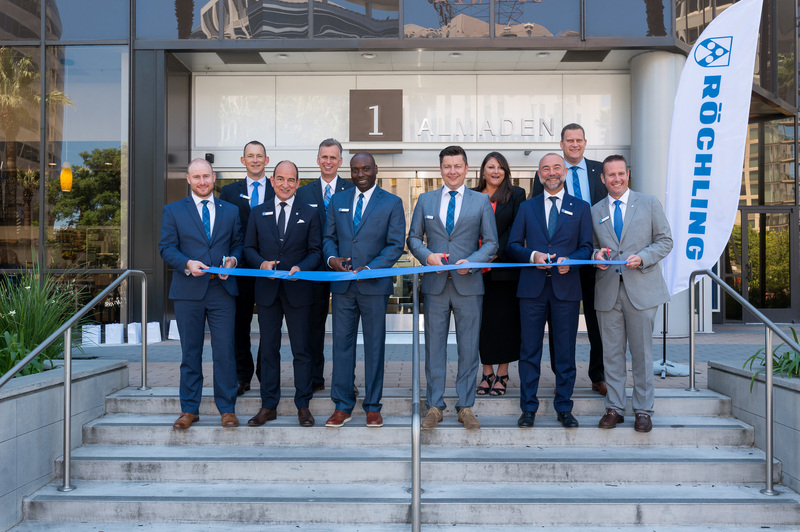 The new customer office will infuse Röchling into the West Coast automotive and mobility community and stimulate collaboration with customers. The new location gives Röchling more direct communication and enhanced relationships with current customers and start-up OEMs in the area. It also helps the company introduce its products and technologies in aerodynamics, powertrain and new mobility to the West Coast automotive market. For example, Röchling’s New Business Green Car product line, the company’s development group focused on mobility challenges in electric vehicles, will showcase its battery components and wireless charging systems. This includes products such as electric vehicle battery covers made from the company’s proven Stratura® Hybrid, a lightweight, high-durability material that is 25 percent lighter than an aluminum cover. Understanding the importance of lightweighting in future automobiles, Röchling also offers a range of aerodynamic and powertrain products made of its lightweight materials, providing performance improvements and acoustic efficiency. Initially, the office will be home to Röchling employees with sales, product and technical account responsibilities. As customer needs and Röchling product offerings increase, the company will add to the San Jose office team.